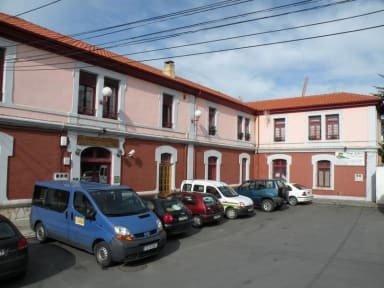 Hostel renovated using the train station Llanes which has been restored to the design of the station (restaurant, bar, lounge), making it a modern hostel while retaining the authenticity of the rail transport station. Open 24 hours, we offer Internet access, living room with kitchenette and we specialize in organizing adventure activities. 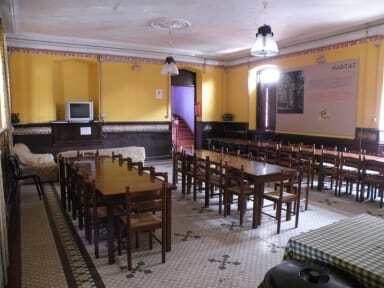 The hostel location lends itself well to pilgrims on the road to Santiago. If you like adventure sports, we take care of all your tour needs and activities such as hiking in the Picos de Europa, canoeing and canyoning. Our location in the town center is an added advantage, we are both in heart of a lively village and 200 meters from the beach! Rooms include linens and blankets.